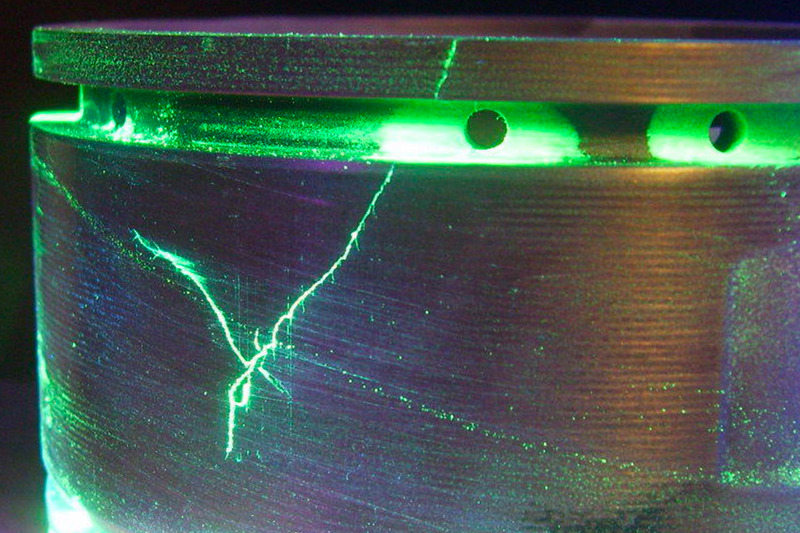 Norwood Medical employs fluorescent penetrant inspection (FPI) as a process to detect the smallest defect in metallic components. FPI is a type of dye penetrant inspection in which a fluorescent dye is applied to the surface of a metallic part in order to detect defects that may compromise the integrity or quality of the part. Norwood Medical uses FPI on components where advanced defect detection is required. With its brilliant yellow glow caused by a reaction with ultraviolet radiation, FPI dye sharply contrasts with the background, providing the inspector with a vivid indicator of minute flaws. FPI is yet another method Norwood Medical uses to achieve the highest medical device quality possible.